Cooler tips for keeping your catch fresh. Getting ice is always a problem or inconvenience. This will show you how to make Polar Bear tubes for your cooler. These modification are to help you keep your fish fresh and chilled while saving money on ice and worrying about where to find ice when you go fishing. 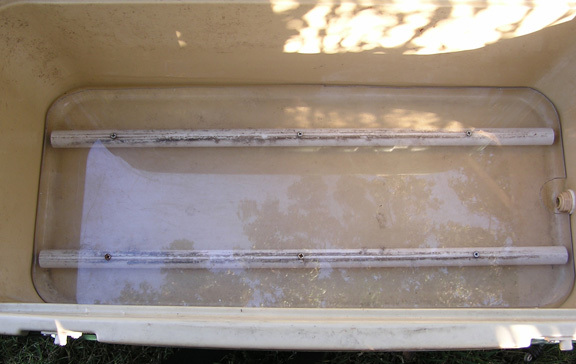 The cooler is shown with a false bottom to keep your fish from laying in a pool of water or blood while you are out fishing, especially should you purchase additional ice. 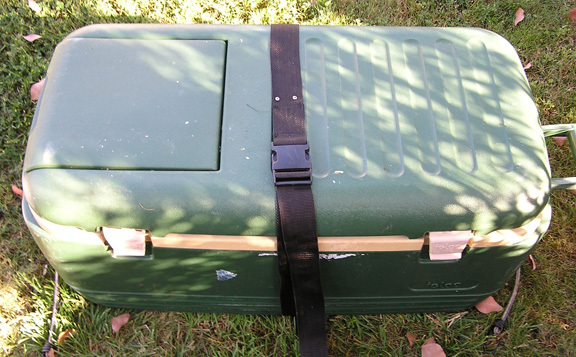 The modification includes a strap for keeping your cooler safely closed while in transient with out the lid blowing open. 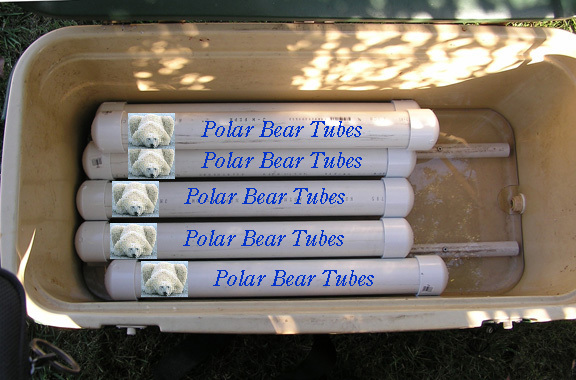 The setup includes Polar Bear tubes made from 2 inch PVC pipe with standard end caps cut to fit your freezer space available to freeze the tubes. Safety strap of 2 inch webbing with quick release buckle using screws to attach to cooler. 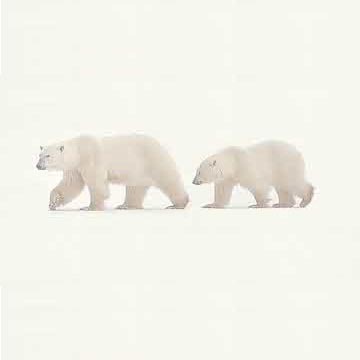 First measure your freezer space to see what is the maximum length your tubes can be and see what your maximum cooler length is so you can custom fit your Polar Bear tubes. 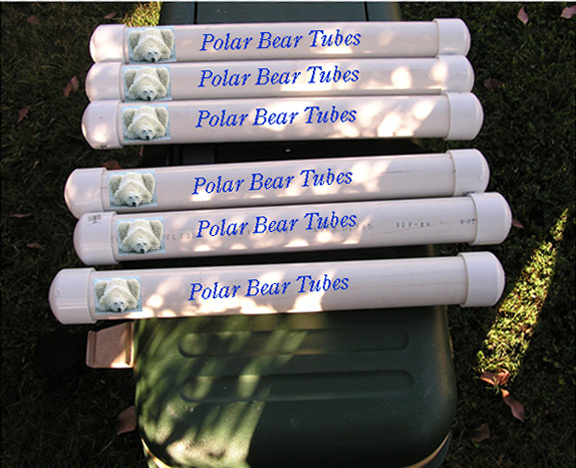 Make Polar Bear tubes from 2 inch PVC pipe available at your local hardware store. 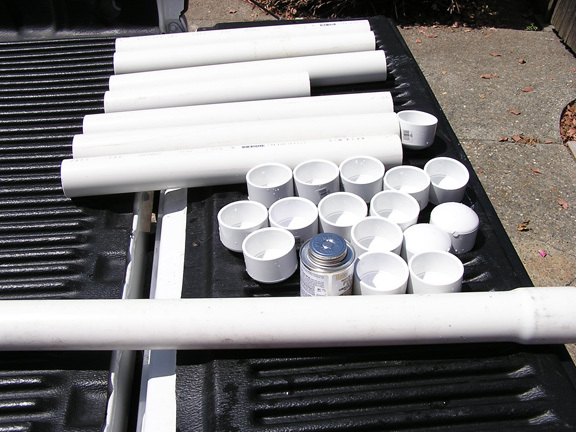 Includes a 20 foot 2 inch PVC pipe end fittings and PVC glue. When assembling, fill with water but not full (88% maximun) as you will need a buffer space for expansion so you wont bust the Polar Bear tube when freezing. 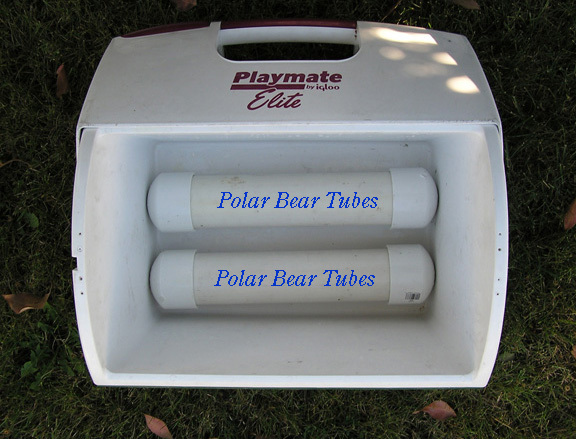 Keep everything clean in case you need these Polar Bear tubes as an emergency water supply. Glue end cap on one end of Polar Bear tubes and let it setup for a hour. Fill with water to 88% and glue on other end cap. Keep it vertical so that cap can set with out being in the water. I made 6 Polar Bear tubes for my big cooler that are 21 inches each. Make as many Polar Bear tubes you like. False bottom to prevent fish laying in blood, or water should you add addition ice. 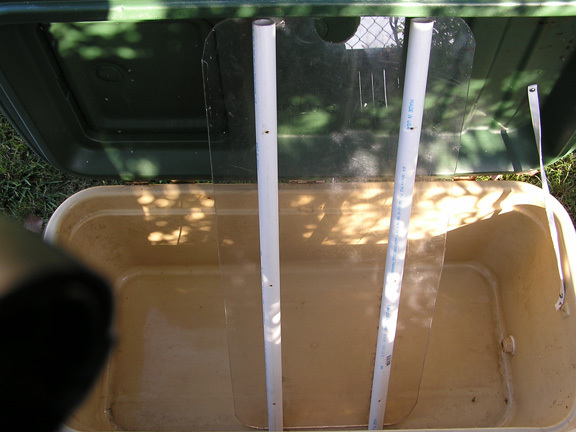 False bottom made by attaching 2 pieces of 3/4 inch PVC pipe to a plastic sheet. Custom fit to cooler bottom. Wood not recommended. 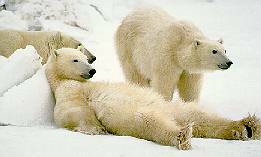 Polar Bear tubes. These are 21 inches as that the maximum length that my garage side by side refrigerator/freezer will take. Hopefully yours may match your cooler length. Ok lets go catch some fish. Polar Bear tubes. Custom fitted for the lunch cooler box. We hope you enjoyed Shelton Products pages. If you can't stop and buy anything, then honk your horn, smile, wave and e-mail me at bill@sheltonproducts.com as you surf by. We'll leave the e-mail slot open for you. All products unique trade names are trademarked.